Forget about scraping off old gaskets! 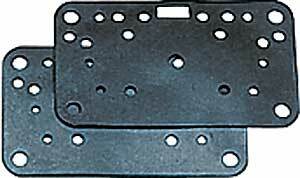 These gaskets are made from tough Buna-N material that won't stick. Fits Holley 4150/4160 series carbs. Completely reusable.